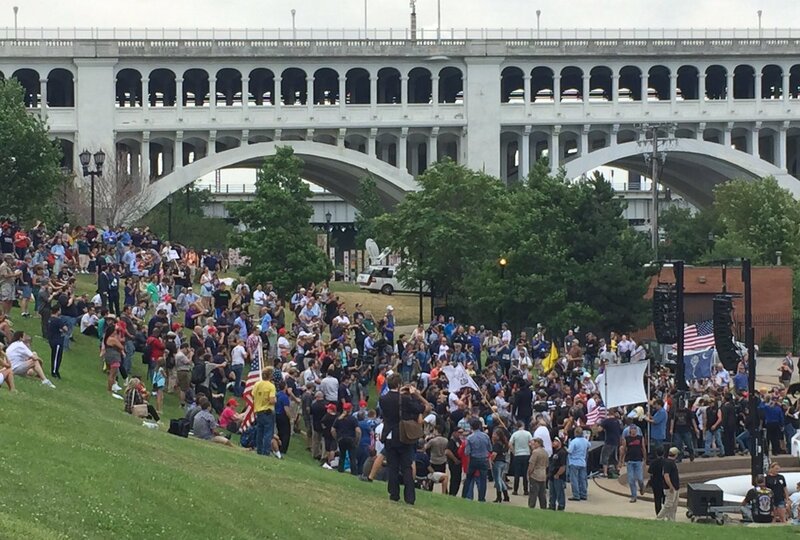 DAY 1 - Donald Trump supporters from all over the country have gathered on the banks of Cuyahoga River to support the presumptive nominee a couple hundred people on the grassy hillside known as Settler's Landing. 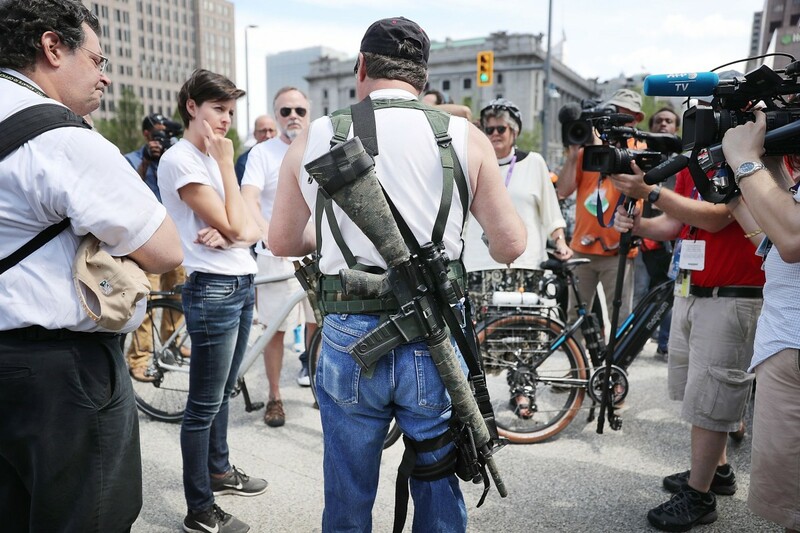 About a half-dozen people openly carried small firearms in holsters. Several discussions took place among groups of people about the shootings of police officers around the country and about the shootings of unarmed black men. The gathering offered people from far away places a chance to converse with like-minded people. DAY 1 - For the next four days, Donald Trump and his allies will bash Hillary Clinton, tout his plans to build a U.S.-Mexico border wall and beef up the U.S. military, and try to bring the country together. The day's big headliner is Melania Trump -- with her husband planning to make an appearance and might even introduce his wife. He's also invited several wealthy, business-leader friends, and his four grown children will have prime slots. DAY 1 - Donald Trump is scheduled to accept the GOP presidential nomination Thursday, but he'll make the first of what could be several appearances in the Q tonight, his campaign manager said this morning. Trump will introduce his wife, Melania Trump, who is scheduled to give what could be the most-watched speech of the night. "He wanted to be here for his wife's speech," Trump campaign manager Paul Manafort said at a press briefing. Then the couple will fly out. It is not yet known when he'll return in advance of his own speech -- to accept the Republican nomination -- Thursday. DAY 1 - Former UK Independence Party leader and Brexit standard-bearer Nigel Farage will be attending the Republican Convention in Cleveland this week. While Farage has praised presumptive GOP nominee Donald Trump in the past, telling CNN's Richard Quest in June that the businessman-turned-politician "dares to talk about things that other people want to brush under the carpet," he said he will not be throwing his support behind any candidate. When Farage was asked who invited him to speak in Cleveland, he told CNN, "not Trump." DAY 1 - A hardy band of thousands of supporters are riding into town on iron horses -- a leathered tapestry of bikers primed to celebrate his pending coronation. They'll arrive under the banner of "Bikers for Trump," a loose confederation of motorcycle enthusiasts. "We're anticipating a victory dance," organizer Chris Cox told CNN. "But it sounds like there's a lot of agitators and a lot of troublemakers coming to town. 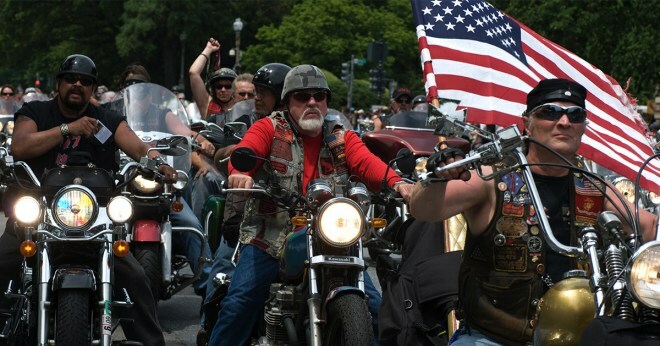 What happens remains to be seen, but you can definitely count on the 'Bikers for Trump' standing with the police department in the event they need it." Over the course of a long campaign, Trump has welcomed the bikers' embrace -- and offered his in return. 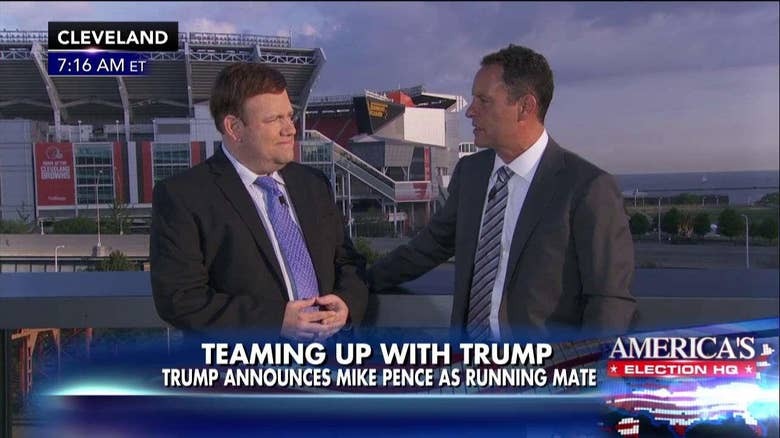 PRE RNC - Luntz told Brian Kilmeade the first thing Donald Trump must do is exhibit his presidential abilities. "He's got to demonstrate an ability to lead. He's got to demonstrate an ability to set a tone for the country," Luntz said. Luntz said it's also vitally important that there is unity across the multiple ideologies that make up the GOP. He explained that getting social conservatives back onboard will be a major focus, which is why convention speaker Ted Cruz will play an important role at the event. Finally, Luntz said that Trump needs to put forth one big idea, to create one "Wow!" moment. PRE RNC - The head of the Cleveland police patrolmen's union is asking Ohio Gov. John Kasich to suspend the state's open carry laws in Cuyahoga County for the Republican National Convention in the wake of the deaths of three police officers in Louisiana. Kasich's spokeswoman, Emmalee Kalmbach, said the governor does not have the authority to suspend state and federal laws regarding open carry. "Law enforcement is a noble, essential calling and we all grieve that we've again seen attacks on officers," Kalmbach said in a statement. PRE RNC - Alex Jones asks Karl Rove if he is supporting Donald Trump. Turd Blossom is so offended by these questions that he calls the cops on Alex. Jones briefed reporters after the encounter that he was confronted by police on the orders of Rove after he turned the camera off. PRE RNC - Women stripped and posed naked with mirrors in Cleveland, answering a photographer’s call to blend art with politics and portray Donald Trump as unfit for the White House. They gathered on the eve of the Republican National Convention, where the brash New York billionaire will be anointed the party’s nominee for president after winning a raucous primary race despite alarm from the party establishment and the country at large about his divisiveness. 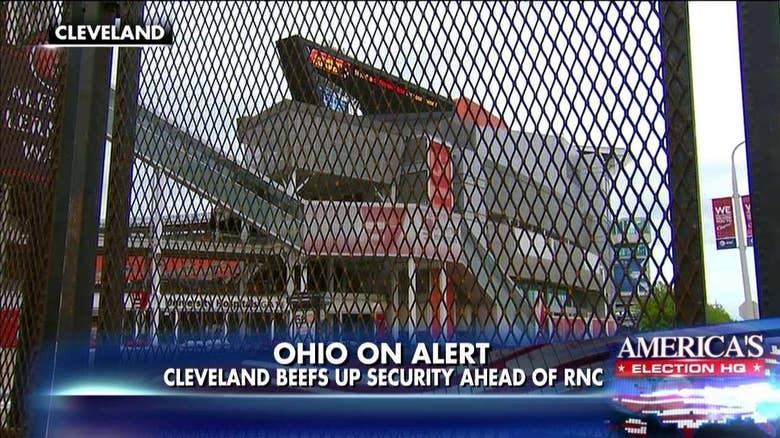 PRE RNC - Peter Doocy reported on "Fox and Friends Weekend" today that security officials are adding fences and protective barriers around the Quicken Loans Arena complex. Doocy said that eight-foot-tall metal fences have also been installed, but RNC officials are concerned about their proximity to the venue. He said that the fences are so close to the convention center because the ACLU won a lawsuit, demanding that protesters not be kept so far away from the delegates and dignitaries will be gathering. "They have designated areas where you're allowed to protest for a certain amount of time."